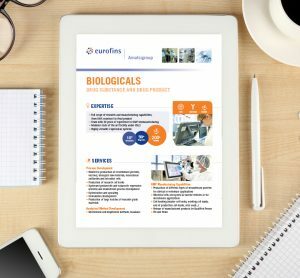 Eurofins CDMO (Contract Development & Manufacturing Organisation) helps pharmaceutical and biopharmaceutical companies move rapidly from research stage of chemical & biological entities development to clinical stages with integrated and time-efficient services to help compress timelines to market. 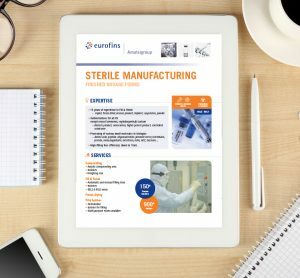 From formulation screening and development, analytical development, stability studies and pre-clinical safety assessment studies to sterile and non-sterile manufacturing, IND/ IMPD and NDA/ CTD services, as well as clinical trial material including packaging and logistics, Eurofins CDMO delivers comprehensive solutions to streamline the development and manufacturing of a variety of product types, delivery systems and dosage forms. 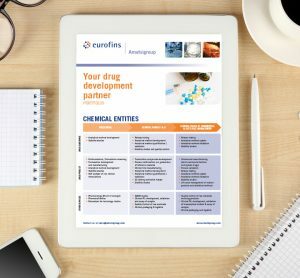 With 13 state-of-the-art facilities in the US, Europe and India and global regulatory expertise, Eurofins CDMO provides high-quality, customised solutions for complex products and unique production processes, specialising in the development of innovative formulation technologies and solutions to enhance bioavailability and control drug release for difficult-to-formulate drug candidates.